Cid Style File: Wish I Was Still There!! I'm back from Vegas and wish I was still there! :( Came home to a severe storm and its been raining for days here in So Cal. The weather isn't helping with my crabby, grinchy mood. Not sure why but I haven't been in the holiday spirit at all this year. I really thought getting away and taking a mini vacay in Vegas would help. Nope it hasn't, but I did have a good and relaxing time away. So just wanted to do a quick post from my trip. Strangely from some reason I haven't even been in the blogging mood. either. Haven't been online much...geez what the heck is wrong with me!! Blah! Well don't want to be a sour puss and ruin any one else holiday mood. 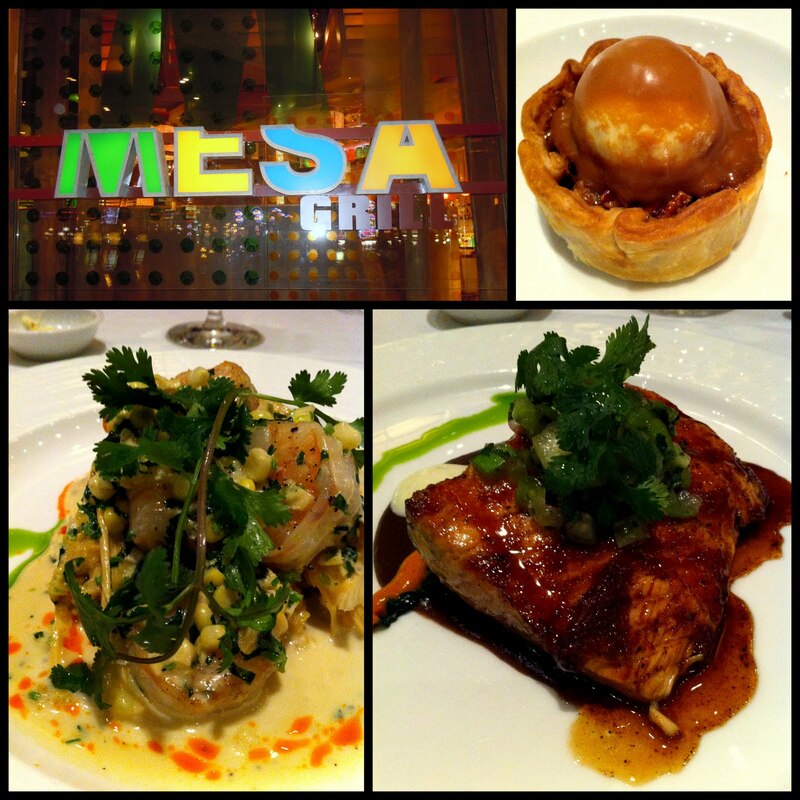 I did get a chance to eat a awesome restaurant in Vegas at Caesars Palace. We ate at Bobby Flay's Mesa Grill, so yummy and highly recommend it. I ate the Prix-Fix lunch where you choose from an appetizer, 1 entree and dessert. I had the shrimp & roasted garlic corn tamale, the ancho chile honey glaze salmon with black bean sauce and the Bourbon pecan tart with cream cheese ice cream. OMG it was divine, I'm drooling just thinking about it! If you ever get the chance to eat there you totally should so worth it! 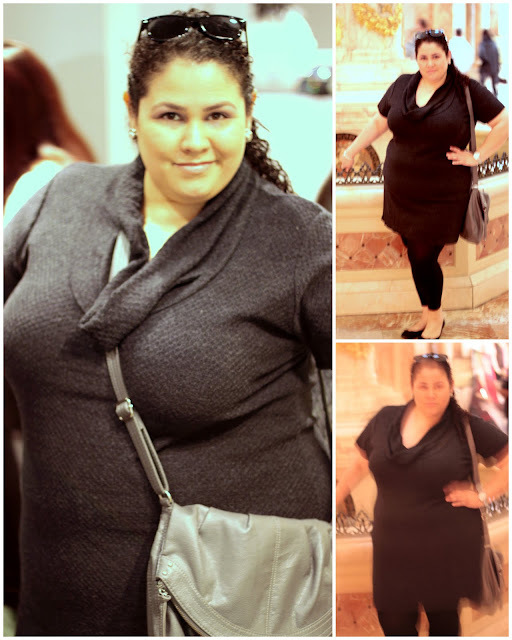 The weather in Vegas was a bit chilly and windy, wore lots of leggings, jeans and sweaters. I wore my new sweater dress from Marshalls I got on black Friday. The pictures are a bit crappy but you get the idea. I really love this sweater dress with the cowl neck. It was warm enough for the weather, but not to thick or bulky. Hope everyone is having a better holiday season (than I am) and enjoys their Christmas. I will be having a new giveaway in about a week so please come back for details. Cute, cute, cute! The capris look great with those sweet ballet flats!